Gov. 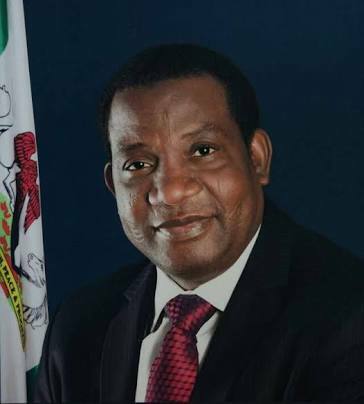 Simon Lalong of Plateau State says he is consulting with security agencies on the conduct of the long delayed Local Government elections in the State. Gov. Lalong in a State broadcast yesterday said the prolonged delay was sequel to security challenges. "The delay is not deliberate as security issues have hampered our efforts in carrying out the exercise," the Governor said. With 'relative peace' returning to the state however, the Governor said the Plateau State Independent Electoral Commission (PLASIEC) "would swing into action and conduct elections" at the third tier of Government as soon as security clearance is obtained. His administration according to him remains committed to tackling issues that tend to hinder progress. Perhaps in the light of this, the governor has also approved the creation, upgrading and restoration of earlier suspended chiefdoms in the State. This is in fulfilment of the desire of government to unite the people under accountable traditional institutions, Gov. Lalong said. The Governor however hoped that the move will bring "greater confidence and assurance to the citizenry of a collective resolve to remain united and pursue common development goals." JOS SOUTH LGA: The existing status quo of all Chiefdoms in Berom land remain and under the Chairmanship of the GbongGwom Jos with 1st Class Status. JOS EAST LGA: The existing status quo of all Chiefdoms in Afizere land remain and under the Chairmanship of the AgwomIzere with 1st Class Status. JOS NORTH LGA: The existing JOS IZERE CHIEFDOMwith Headquarter in KatonRikkos, under AdagwomIzere is now restored to 2nd Class Status. BARKIN LADI LGA: A new Chiefdom, namely IBAAS CHIEFDOM with Headquarter in Ibaas, under DagwomIbaas is now created with 3rd Class Status. BASSA LGA: The existing three Chiefdoms, namely Rukuba, Pengana and Irigwe maintain their statuses, under the Chairmanship of Utu Ugo Kithe, with 1st Class status. KULERE CHIEFDOM with Headquarter in Siken, under the SafKulere is restored to 2nd Class Status. MUSHERE CHIEFDOM with Headquarter in Ikgwahap, under MishkahamMushere is restored to 2nd Class Status. KANAM LGA: The existing two Chiefdoms, namely Jhar and Bogghom maintain their status quo of 2nd Class, under the Chairmanship of the Emir of Kanam Emirate with 1st Class Status. KANKE LGA: A new Chiefdom, namely NGAS CHIEFDOM with Headquarter in KWALL, under Ngolong Kanke is now created with 2nd Class Status. LANGTANG NORTH LGA: The existing Chiefdoms, namely, TAROH and ZINNI maintain their status quo with 1st and 2nd Class Status respectively, under the Chairmanship of PonzhiTaroh. LANGTANG SOUTH LGA: A new Chiefdom, namely, BYAN CHIEFDOM with Headquarter in Mabudi, under PonzhiByan is now created with 2nd Class Status. PYEM CHIEFDOM with Headquarter in Gindiri, under the Sum Pyem maintains its 2nd Class Status. CHAKFEM CHIEFDOM with Headquarter in Chakfem, under MishkahamChakfem is restored to 3rd Class Status. JIPAL CHIEFDOM with Headquarter in Jipal, under Long Jipal is restored to 3rd Class Status. YOUM CHIEFDOM with Headquarter in Garkawa under the MuoYoum is restored to 2nd Class from 3rd Class Status. PIAPUNG CHIEFDOM with Headquarter in Piapung, under Long Piapung is upgraded to 3rd Class Status. KOENOEM CHIEFDOM with Headquarter in Lafidi, under Long Koenoem is restored to 3rd Class Status. PANKSHIN CHIEFDOM with Headquarter in Lannang, under Ngolong Pankshin is restored to 2nd Class Status. MHISHIP CHIEFDOM with Headquarter in Chip, under Long Mhiship is restored to 2nd Class Status. MUPUN CHIEFDOM with Headquarter in Lankan, under MiskhomMupun is restored to 2nd Class Status. FIER CHIEFDOM with Headquarter in Fier under the Wela Fier is restored to 3rd Class Status. TAL CHIEFDOM with Headquarter in Tal, under Ngolong Tal is restored to 3rd Class Status. KADUNG CHIEFDOM with Headquarter in Kadung under the ReidengMakadung is restored to 3rd Class Status. PAI CHIEFDOM with Headquarter in Pai under the Ngolong Pai is restored to 3rd Class Status. The existing KWO CHIEFDOM with Headquarter in Kwande, under Long Kwo is now regraded on 2nd Class Status. The existing NAMU CHIEFDOM with Headquarter in Namu, under Long Jan is restored to 2nd Class Status. The existing ATEN CHIEFDOM with Headquarter in Ganawuri, under Atar Aten is now upgraded from 2nd Class to 1st Class Status. The existing DOROK CHIEFDOM with Headquarter in UngwanDadi, under Long Dorok is now upgraded from 3rd Class to 2nd Class Status. The existing JAKTOE CHIEFDOM with Headquarter in DokanTofa, under Long Jaktoe is restored to 3rd Class Status. The existing DERTENG CHIEFDOM with Headquarter in GidanGaladima (Lunuwang), under Long Derteng is restored to 3rd Class Status. WASE EMIRATE maintains its status and all the Chiefdoms in the LGA are under the Chairmanship of the Emir of Wase with 1st Class Status. The existing BASHAR CHIEFDOM with Headquarter in Bashar, under Rekna Bashar maintains its 2nd Class Status. KADARKO CHIEFDOM with Headquarter in Kadarko, under PonzhiKadarko is restored to 2nd Class Status. MAVO CHIEFDOM with Headquarter in Mavo, under AkuJukun is restored to 2nd Class Status. The exercise he said is a continuous one with respect to bringing governance to the grassroots across the state.